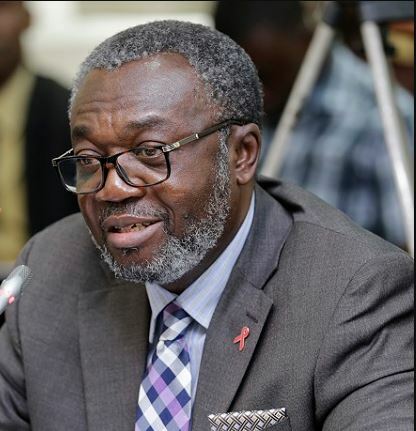 Agyeman Badu Akosa is a member of the Ensign College of Public Health (ECOPH) board, Executive Director of Healthy Ghana, Professor of Pathology at the University of Ghana Medical School, President of Phytica Ghana and Chairman of Express Life Insurance. He is the Vice Chairman of the Executive Board of the African Population Health Research Centre, Nairobi, Kenya, and serves on the board of Safety Ghana. He has also served as the Executive Chairman of Ghana Healthcare Ltd, board member of Ghana Prisons Service, Chairman of St. John Ambulance, Chairman of Tobacco Control Taskforce in Ghana and Chairman of Trust Hospital. 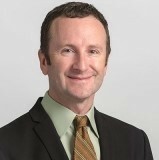 Stephen C. Alder, PhD, is a Professor and Vice Chair of Family and Preventive Medicine, Division Chief of Public Health, and holds the T. F. H. Morton Endowed Chair at the University of Utah School of Medicine, with adjunct appointments in Internal Medicine, Obstetrics and Gynecology, and Health Promotion and Education. He is president of the Ensign College of Public Health (ECOPH) in Kpong, Ghana. His academic work focuses on community-engaged approaches to improving health in Utah and throughout the world. His work includes building academic programming in public health and advancing global health, and leading efforts to establish global public health at the UofU Asia Campus in Incheon, Korea, and ECOPH in Kpong, Ghana. Alder established one of the premiere University of Utah Learning Abroad programs, offering community-engaged experiences in Ghana, India, Peru, China, Uganda, Armenia, Thailand and Mali. Daniel Ansong is the Dean and Associate Professor of Pediatrics in the School of Medical Sciences (SMS), Kwame Nkrumah University of Science and Technology (KNUST), Ghana. He was the Deputy Director of the Research and Development Unit at the Komfo Anokye Teaching Hospital (KATH), Kumasi-Ghana from 2011 to 2017. He is a Fellow of the West African College of Physicians and the Ghana College of Physicians and Surgeons. He has served as an investigator in several pivotal malaria clinical trials in Ghana. Currently he is the co-principal investigator in a phase III malaria vaccine clinical trial currently taking place in Ghana. In addition to his research interest in malaria, he is working with World Health Organization (WHO)/Africa Region (AFRO) on Pediatrics Sepsis and Meningitis Surveillance Program for which he is the Lead Clinician. He is an investigator in the Austere Environments Consortium for Enhanced Sepsis Outcomes (ACESO) study in KATH. Audrey Baffour is a Ghanaian who spent most of her career as a banking & administration professional with many years of experience in Nigeria and Liberia, climaxing with her role as Vice President of Eurobank Liberia Ltd from 1988 to the mid 1990’s. However, the more recent and fulfilling years of her career have revolved mainly around poverty alleviation and health initiatives in impoverished communities and/or demographics. She has a diploma in Administration. She has worked with WELLBEING FOUNDATION AFRICA—Lagos, Nigeria | Accra, Ghana and has served as Operations Manager for Nigeria. She is a Country Representative for Ghana through the Wellbeing Foundation of Africa. She has served as Manager of Administration for Nigeria and Vice President of EUROBANK LIBERIA LTD—Monrovia, Liberia. She was also administrative manager for MERIDIEN BANK LIBERIA LTD—Monrovia, Liberia. She is a board member of Hunger Alliance, Ghana and Autism Awareness Care and Training Centre, Ghana. She serves as Executive Member of Ghana Civil Societies Association for Scaling Up Nutrition (GHACCSUN). She serves as Member of the Communication Group representing Ghana for Scaling Up Nutrition (SUN) Movement. Her hobbies include being a guitarist, pianist, singer & composer, avid athletics fan, bookworm, and completes social work in deprived communities. 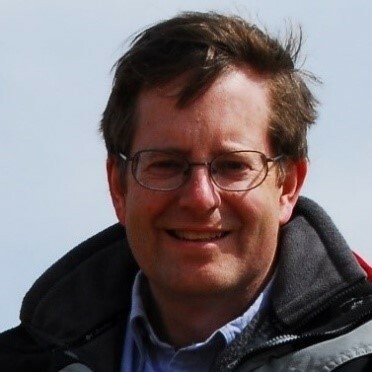 Ty Dickerson, MD, MPH, FAAP is Clinical Professor of Pediatrics and Adjunct Assistant Professor of Public Health at the University of Utah School of Medicine where he also serves as the Assistant Dean of Global Health Education. He practices as a pediatric hospitalist at Primary Children’s Hospital in Salt Lake City, Utah where he combines the clinical care of hospitalized children with the education of medical students and resident physicians. Dr. Dickerson’s interests include community-based maternal & child health in resource-poor settings. He has authored or co-authored many peer-reviewed research articles related to global maternal and child health and has worked as a program manager to develop and implement a community-based maternal & newborn health outreach program in rural Tibet. In addition to teaching clinical medicine, Dr. Dickerson co-directs the Ghana Global Public Health Learning Abroad Program as well as the Graduate Certificate in Global Medicine for the University of Utah School of Medicine. Delanyo Dovlo is the Director of Health Systems and Services Cluster in the WHO Regional Office for Africa (AFRO). He was previously the WHO Country Representative in Rwanda and Health Systems Adviser at WHO headquarters. A Ghanaian public health physician with over 30 years of clinical and public health experience, he has been a consultant to various countries on Health Systems and Health Sector Reforms. He has an MB CHB from the University of Ghana, an MPH from University of Leeds, Membership in the West Africa College of Physicians and is a Fellow of the Ghana College of Physicians & Surgeons. 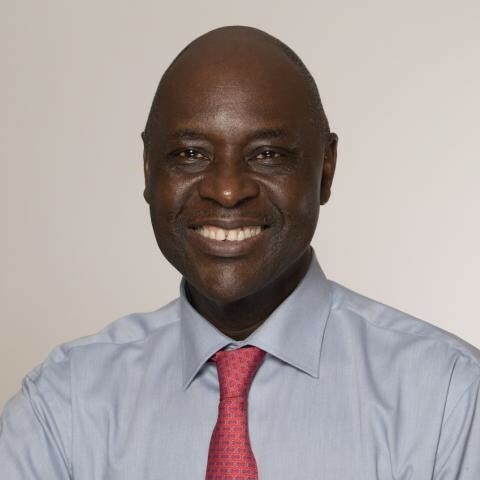 Pape Amadou Gaye is President and CEO, IntraHealth International, a native of Senegal and a lifelong advocate for health workers, strong health systems, and access to health care for all. Under his leadership, IntraHealth has made human resources for health a crucial part of the worldwide conversation on global health. Gaye draws on three decades of leadership in international health and development as he overseeswork in around 40 countries to strengthen their health workforces and health systems. During his watch, IntraHealth has led two of the US government’s flagship human resources for health projects (the Capacity Project and CapacityPlus) and established official relations with the World Health Organization (WHO). Gaye is a frequent international speaker on issues related to capacity-building and the global health workforce. As a panelist during the White House Global Summit in July 2016, he urged focus on international aid and human resources for health as powerful investments in our shared future. Gaye forges strong collaborative relationships with diverse stakeholders—from ministries of health to private-sector partners to local health workers—to meet the enormous health challenges we face in low- and middle-income countries. Gaye holds a master’s degree in business administration from the University of California at Los Angeles. His board and advisory services include the Center for African Family Studies, Duke University’s Global Health Institute, Global Health Council, PAI, the Reproductive Health NGO CEO Working Group, Speak up Africa, and the Triangle Global Health Consortium. 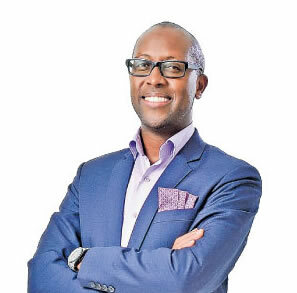 Githinji Gitahi is the CEO of Amref Health Africa. He was the Vice President and Regional Director for Africa, Smile Train International, where he successfully established partnerships for long-term sustainability with various African governments. Prior to that he worked with the Nation Media Group, where he was the Managing Director for Monitor Publications in Uganda as well as General Manager for Marketing and circulation in East Africa. He also held progressively senior positions at GlaxoSmithKline, Avenue Group and the insurance industry. Dr Gitahi has a Bachelor’s degree in Medicine and Surgery and a Master’s in Business Administration, majoring in Marketing. 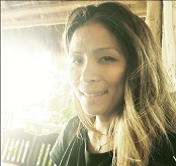 Jaymie Ang Henry is a force in the world of Global Surgery. She is a doctor, writer, public health specialist, and an advocate for Essential Surgery as part of primary health care systems in developing countries. She was the Founding Executive Director of the Global Alliance for Surgical, Obstetric, Trauma, and Anesthesia Care (G4 Alliance), where she provided strategic direction for the G4 Alliance from its inception, developed and oversaw relations with stakeholders and partners, and organized political and advocacy events in support of surgical care at venues, such as country offices, permanent missions, the UN, and the WHO. Dr. Henry was also the Executive Director of the International Collaboration for Essential Surgery, where she led the 15x15 campaign to raise the profile of Essential Surgery by 2015, hosted the first UN side event for Essential Surgery, and strongly advocated for the WHO resolution on ‘strengthening emergency and essential surgical care and anesthesia as a component of Universal Health Coverage.’ Dr. Henry holds an MD from the University of Santo Tomas in Manila, Philippines, and an MPH from UC Berkeley. 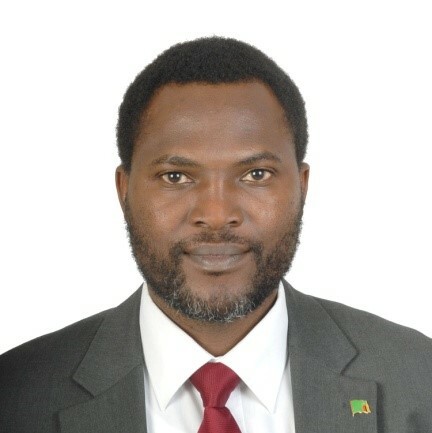 Emmanuel Makasa is Counsellor-Health, Permanent Mission of the Republic of Zambia to the UN and is the immediate past technical coordinator of the African group of health attaches. Prior to that he worked in a multitude of capacities, ranging from Deputy Director for Emergency Health Services in the Zambian Ministry of Health, to Board Member of Doctors Outreach Care International, Secretary General at the Zambia Medical Association and the Surgical Society of Zambia, to an applied research intern at NASA. Dr. Makasa has a keen interest in Global Health diplomacy, entrepreneurship, politics and governance and the arts. He received his MBChB from the University of Zambia, his MMed in orthopedics and trauma surgery from the University of Zambia, School of Medicine. He received his MPH-Global Health Epidemiology from the University of Alabama at Birmingham where he studied as a Fulbright Scholar. (Zambia/ Switzerland). 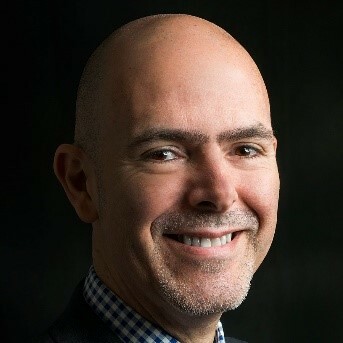 Juan Carlos Negrette has more than 27 years of extensive international experience in health programs design, implementation and management. He has directed health service delivery programs on different continents, and has structured and developed productive partnerships of strategic importance with relevant private sector companies and government entities, resulting in tangible improvement of the health and social conditions of communities and populations served in a sustainable manner. Mr. Negrette has effectively adapted and utilized modern managerial tools, techniques and approaches in primary care programs in different parts of the world. He has also designed and implemented effective strategic health interventions in challenging environments in more than twenty countries in Asia, Africa, and Latin America. He is particularly interested on studying social franchising, organizational sustainability and lasting impact of health programs in low resource settings, in helping identify innovative approaches that promote access to quality health services, and in global health equity issues. Mr. Negrette is currently the Director of Global Health at the University of Utah. Anthony Nsiah-Asare is the current Director General of the Ghana Health Service and a former Chief Executive Officer of the Komfo Anokye Teaching Hospital (KATH). He is a Medical doctor, surgeon, mentor, leader and a reformer. Dr. Anthony Nsiah Asare has spent 36 years of his working life in the health sector both locally and internationally. He can also boast of 26 years in management and leadership positions in the health care industry. He served as the Chief Executive Officer of KATH in Kumasi where he worked for about 10 years. He led the transformation of KATH and facilitated the Infrastructure development of the Hospital. He transformed the Hospital into a Centre of Excellence in the West Africa sub-region with several achievements, notable amongst them was the establishment of the first ultra-modern state-of-the-art Accident & Emergency Centre with a helipad in West Africa. After his term of office at Komfo Anokye Teaching Hospital he continued to work in the health sector. He worked as the Chief of Clinical Operations at the Global Medical & Imaging Centre Ltd, Kumasi, and led the facility to set up a private CT Scan at Kumasi with foreign partners. He also became a Part-Time Health Consultant and General Surgeon from September 2012 to February 2017. Dr. Nsiah Asare was honored as one of the distinguished health professionals in the country with a Presidential Award as a Member - Order of the Volta in August 2008. 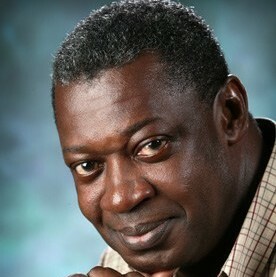 He was also awarded a Fellow of Ghana Medical Association in November 2011. Dr. Price received his Medical degree from Harvard Medical School, and completed a surgical residency at Brigham and Women’s Hospital in Boston. Dr. Price is a General Surgeon practicing at Intermountain Surgical Specialists with Intermountain Healthcare. He is also a Professor, Mongolian National University of Medical Sciences, and Medical Director, Dr. W.C. Swanson Family Foundation. He focuses on advanced laparoscopy, surgical oncology, endocrine, and trauma surgery. Dr. Price has participated in or led medical and surgical expeditions to Asia, Latin America, Africa, and Haiti. Over the last 15 years, he has been dedicated to improving education and access to surgical care globally, especially in resource poor areas. He has received many honors, including the Presidential Friendship Medal, Mongolia (the highest medal Mongolia gives to foreigners); the 2012 American College of Surgeons-Pfizer International Volunteerism Award; and a Medal of Honor from the Minister of Health of Mongolia in 2009 for improving surgical care throughout Mongolia. In 2012 he was awarded an honorary membership in the Mongolian Surgical Society. In 2015, he received an Advanced Trauma Life Support International Meritorious Award. 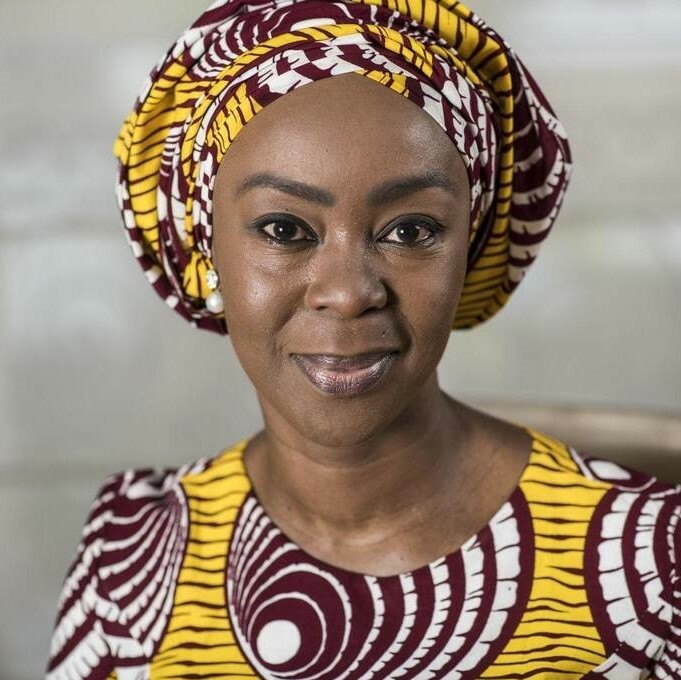 Toyin Saraki is Founder-President of Wellbeing Foundation Africa (WBFA), a Nigerian philanthropist with two decades of advocacy covering maternal, newborn and child health, gender-based discrimination and violence, improving education, socio-economic empowerment and community livelihoods in Africa. She is an advocate of Millennium Development Goals 4 and 5 in Nigeria, reducing the rate of maternal and infant mortality. She also launched a successful social media campaign through Wellbeing Foundation Africa in 2012 called #MaternalMonday to raise awareness on key issues in maternal, newborn and child health in Africa. She contributed largely to the establishment of the Lifestream Charity in 1993 and is a global advocate of the UN’s Every Woman Every Child campaign. Saraki is on the board of the Global Foundation for the Elimination of Domestic Violence and the board of the Africa Justice Foundation. Toyin Saraki is the Newborn Champion for Save the Children Nigeria and was the inaugural Global Goodwill Ambassador to the International Confederation of Midwives in 2014. She is married to former governor of Kwara State and current President of the Senate of Nigeria, Senator Abubakar Bukola Saraki. Girma Teferais Medical Director of Operation Giving Back (OGB) of the American College of Surgeons (ACS) Division of Member Services. He is Vice-chair, Division of Vascular Surgery and Chief of Vascular Surgery at William S. Middleton Memorial Veterans Hospital, Madison. 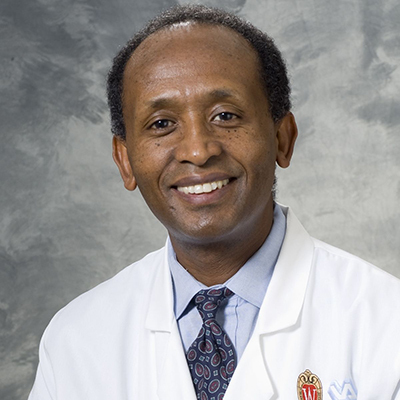 Dr. Tefera is a vascular surgeon and professor of surgery, department of surgery, University of Wisconsin (UW) Hospital and Clinics, Madison. Dr. Tefera specializes in minimally invasive vascular interventions, including stent grafts for complex aortic aneurysm treatment, as well as percutaneous treatments of carotid arteries and vascular diseases of the lower extremity. Nana Kofi Acquah (@africashowboy) fuses his journalism and advertising past into his work across Africa, with the hope to help re-position the continent through new visual imagery and discourse. He is a member of the Instagram group @EverydayAfrica, an Assignment photographer for Getty Images, and the first recipient of the Tim Hetherington and World Press Photo Fellowship. Nana lives in a tiny village on the hem of Accra’s North Atlantic Ocean with his wife Gloria, their 3 children and 2 dogs. His recent exhibition in Accra, his first at home, was entitled: “Don’t Call Me Beautiful” and was dedicated to raising social and political consciousness on the deliberate suppression and frustration of women in the culture. He shoots across the continent for such clients as The Global Fund, Americares, Facebook, Nike, BBC, The Financial Times, BASF, Novartis Foundation, ActionAid, WaterAid, Hershey’s, AfDB, Standard Bank among many others. Kafui Prebbie is founder and chief executive officer of TECHAiDE – a technology social enterprise. Kafui has lead the development of two thriving technology products – EDULab & ASANKA, addressing educational needs currently impacting thousands of learners across Ghana and West Africa. Kafui is a dynamic and result-laden technology entrepreneur, project manager and educationist with long history of activism in ICTs for Development internationally. He has experience in technology integration, training, and managing development projects funded by USAID, European UnionFP7, British Council, International Institute for Communications and Development, CAMFED-UK; Edify-USA; World Vision and the Partnership for Higher Education in Africa, amongst others. Jeremiah Sam is a journalist by profession and the Programmes Director at Penplusbytes. At Penplusbytes he oversees the organisation's three thematic areas of operations – Tech & Good governance; Extractives and New Media & Innovations. His main area of research and work is on the intersection of innovations, technology and governance. His current focus of work is on empowering citizens to use new digital tools to demand better health service delivery. Jeremiah, through his work over the last decade, has supported the media to play an active watchdog role over Mining, Oil and Gas Revenues and Resources in Liberia, Ghana, Uganda and Tanzania. Among Jeremiah's many contributions to the advancement of democracy is the support he provides to the African Elections Project, which has covered elections in 14 African countries and designed tools that enhance citizens’ participation in the governance process. Anita Eseenam Agbeko, MBChB, MGCS, PhD is a specialist general surgeon at the Komfo Anokye Teaching Hospital, Ghana. She obtained her MBChB degree from KNUST in 2008, membership in the Division of Surgeons, Ghana College of Physicians and Surgeons (GCPS) in 2014 and a PhD in Palliative Care from Lancaster University, UK in 2018. She is currently pursuing a general surgery fellowship with the Ghana and West Africa Colleges of Surgeons. She has a passion for issues of medical/surgical education and quality/access to surgical and palliative care, as part of healthcare development in Ghana. She serves as the residents’ representative on the GCPS Governing Council and has been involved in surgical outreaches to Northern Ghana since 2012. Her research interest include surgical oncology and palliative care. Currently, she is involved in research on culturally-based care preferences for terminal illness, quality of life of breast cancer patients on palliative chemotherapy and the global surgery 3 study on quality/outcomes of cancer surgery. Theophilus Teddy Kojo Anyomih is a Global Surgery and Global Health enthusiast. He currently works in the department of Surgery, Tamale Teaching Hospital. He is in his second year post-house job. He has a strong interest in research and Global Surgery. At present he is working on the GlobalSurg and PaedSurg projects. Charles Arhinful has been working with the Volta River Hospital, Akosombo since 2005. He completed his post-graduate training in General Surgery in 2014 at the Korle Bu Teaching Hospital. After training, he identified a need in the care of patients with suspected breast cancer in and around his community, the Krobo-Akwamu traditional areas. Dr. Arhinful, with support from Motec-life, UK (an NGO) provided leadership in putting together a trained dedicated team that culminated in the launching of the VRA Hospital Breast Care Centre in October 2015. They have embarked on numerous Breast Cancer Awareness Campaigns. He was awarded a Certificate of Excellence for Outstanding Service and Lasting Contribution to Humanity and Motec-life, UK at their Annual General Meeting at UK in December 2015. The European Breast Cancer Committee granted him a scholarship to participate in their recent (March 2018) conference in Barcelona, Spain where he presented a poster on his Breast Project. He is a member of Ghana Medical Association, Ghana College of Surgeons, European Society of Medical Oncology and Ghana Breast Society. LaTrina Davis’ background spans the fields of public health, information technology, and healthcare. LaTrina has worked in the public sector as a survey statistician with the US Census Bureau and the private sector as a subject matter expert and consultant in various areas. She has worked for Federal agencies including the Centers for Disease Control and Prevention (CDC) and the Department of Defense (DoD). LaTrina’s research practice includes adolescent trauma research for the Substance Abuse & Mental Health Services Administration (SAMHSA) under the Center for Substance Abuse Treatment (CSAT), child health and education research with the University of the District of Columbia, and international experience working on environmental and women’s health in West Africa for Georgia Southern University’s Jiann-Ping Hsu College of Public Health. LaTrina earned a BS in Psychology from Virginia Commonwealth University, an MPH with a concentration in Health Policy from Benedictine University and is also a DrPH candidate at Georgia Southern University. Paa Ekow Hoyte-Williams, MB ChB. MGS. FWACS is a Craniofacial, Plastic, Reconstructive and Burns Surgeon at the Komfo Anokye Teaching Hospital in Kumasi, Ghana. He is a visiting lecturer to the University of Development Studies –Tamale and a consultant plastic surgeon to a number of hospitals within the Ashanti Region of Ghana. He is the founder and President of Greater Works Restoration Foundation (www.gwrf-gh.org), a non-governmental organization that provides reconstructive surgical services to the poor, needy and less endowed regions of Ghana at no cost to the patients. 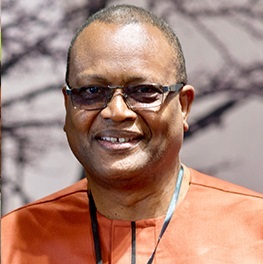 A member of the West African College of Surgeons and RESTORE worldwide Inc.(www.restoreworldwide.org), he has been involved extensively in surgical missions internationally. He is the first plastic surgeon to be produced by the Komfo Anokye Teaching Hospital. A one year fellow of the Chung Gung Memorial Hospital (CGMH-Taiwan) His motto: Love shown through reconstructive surgery; transforming lives everywhere. Deanna Kepka PhD, MPH is a tenure-track Assistant Professor at the College of Nursing and an Investigator at Huntsman Cancer Institute (HCI) with expertise in community-level cancer prevention and control research among underserved communities. She is a member of the Cancer Control and Population Sciences (CCPS) research group. She leads a successful research program in Human Papillomavirus (HPV) vaccination, HPV education, women’s health, cancer prevention education, cancer screening targeting vulnerable patient populations, cancer-related health disparities, and HPV-related cancer prevention. She is the Founder and Director of the Intermountain West HPV Vaccination Coalition and the inaugural Director of Global and International Health in the College of Nursing. She has more than 15 years of experience working with at-risk communities through collaborative community based partnerships that promote positive health behaviors in Jamaica, Chicago, North Carolina, and Washington and more than five years of experience working with Hispanic/Latino communities in Mexico, Peru, Chicago, North Carolina, Washington, and Utah. Portia Afi Mensah (Ghana Association of Medical Laboratory Scientists (GAMLS)) is a Biomedical Scientist with both public and private sector experience in Ghana. She received her undergraduate degree from the Kwame Nkrumah University of Science and Technology and soon will receive her Master of Public Health (MPH) degree from the Ensign College of Public Health. Ms. Mensah has worked at the Korle-Bu Teaching Hospital and the Port Clinic in Tema. She is currently the Head of Laboratory Services at the Empat - Caiquo Hospital located in Tema. She has a keen interest in public health practice, especially Global Health and is a tireless advocate for issues and matters related to increasing access to healthcare for vulnerable populations. Aaron Kwasi. Nartey (MSc., BA [Hons.]) is a Development Expert and Research Officer with the Research and Development Unit of the Komfo Anokye Teaching Hospital, Kumasi Ghana. He has keen interest in research and is passionate about community development and improvement of lives. His research interests includes health and well-being, water and sanitation, urbanization, rural development and ICT for Development. Mr. Nartey is an affiliate of the Kwame Nkrumah University of Science and Technology (KNUST), Ghana where he had his first and second degree. A fifth year medical student who is very enthusiastic in medical research. He is keen about finding new and innovative ways of making people’s lives better through research with special interest in oncology and hematology. His education and training include Kwame Nkrumah University of Science and Technology (Human Biology 2013 to 2016) and Kwame Nkrumah University of Science and Technology, (Medicine and Surgery 2016 to present). He is currently serving as an editorial member of the African Journal of Current Medical Research. He worked as the main correspondent for May Measurement Month Project for the Ashanti Region in Ghana. He is an elite author, editor and leader. He has authored numerous scientific articles for myjoyonline.com. He has participated in community-based research projects including the Barekuma Barekese Collaborative Development project (BCCDP) and other projects in collaboration with the Georgia Southern University. 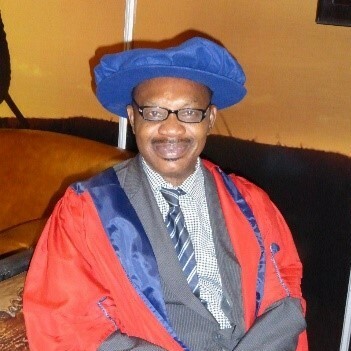 Kolawole S. Okuyemi, M.D., M.P.H. 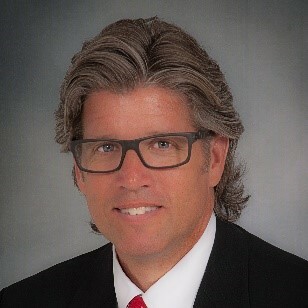 is Professor and Chair for the Department of Family and Preventive Medicine at the University Of Utah School Of Medicine. He also holds the George D. Gross, M.D. & Esther M. Gross M.D. Presidential Endowed Chair in Family & Preventive Medicine. Previously he was at the University of Minnesota Medical School Twin Cities for 11 years where he was Professor and the inaugural Endowed Chair for Health Equity Research in the Department of Family Medicine and Community Health. He was also the Director for the Program in Health Disparities Research as well as Director of Cancer Health Disparities for the Masonic Cancer Center, an NCI-designated Comprehensive Cancer Center at the University of Minnesota. He received his medical degree from University of Ilorin, Nigeria, completed a family medicine residency and Master of Public Health at the University of Kansas Medical Center, and a public health research fellowship at the Morehouse School of Medicine. Dr. Okuyemi’s career in the last 20 years has focused on research and programs to improve the health of underserved populations and eliminate health disparities using pharmacological and culturally tailored behavioral interventions as well as community-engaged research approaches. He has been Principal Investigator on several NIH (NCI, NIDA, NHLBI, NIMHD, NIGMS) funded centers as well as research and training grants aimed at reducing cancer-related health disparities especially among African Americans, African Immigrants, and homeless populations. On the global front, Dr. Okuyemi has been a leader in advancing research and training programs at Low and Middle Income Countries (LMIC) with particular focus on the sub-Saharan African (SSA) region. His approach has been on building capacity among indigenous students and professionals in the SSA region for addressing the growing epidemic of non-communicable diseases within the region. He has been visiting professor to several universities in the West and Southern African regions. Dr Okuyemi is founding Director of the Annual Summer Grantwriting Workshop hosted by the University of Ilorin. In September 2014, Dr. Okuyemi was one of 5 Principal Investigators awarded a $22 million NIH grant to establish the National Research Mentoring Network (NRMN) and serves as PI/Director of NRMN’s Professional Development Core. Dr. Okuyemi has a passion for mentoring and has mentored faculty, postdoctoral fellows, graduate, and undergraduate students many of whom have progressed to establish their own independent academic, research, or other health professional careers. Dr. Okuyemi has published over 130 peer-reviewed scientific articles and book chapters. 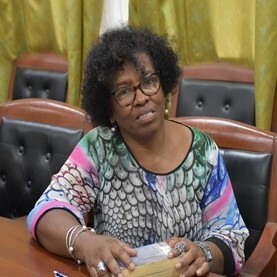 Eléonore Rabelahasa, MPH is a Medical Doctor with MPH and a nutrition certificate. She has more than 20 years of experience developing, managing, implementing, monitoring and supervising health programs. She had strong experiences managing and coordinating funding from different donors (USAID, World Bank, OFDA, EU, DIFD, CIDA and UNICEF). Eleonore’s technical areas of expertise includes project design, health systems strengthening; designing curricula for different cadres and facilitating trainings; leadership development program: organizational capacity development; conception and review of policy documents and procedures; improvement of quality of care and logistics management. She provided technical assistance and guidance to the Ministries of Health, local governments, private institutions and NGO’s on sector‑level assessments, strategic planning processes, implementation, monitoring and evaluation. Currently she is leading the health system strengthening portfolio within USAID/West Africa Regional Health Office based in Accra and is managing three multi-countries projects in the area of health system financing, medicine products and procurement, health policies, and human resources for health both in private and public sectors. Stephen Tabiri, MD, PhD, FGCS, FACS is a dynamic, proactive and people-driven surgical professional with over 21 years of experience in academic surgery. With a proven ability to provide critical surgical support and training to medical professionals both within and outside the boundaries of Ghana, Stephen has trained several medical professionals, some of whom today serve in highly essential and deprived areas of practice. He also is very instrumental in the effort to streamline and onboard medical students who have trained in other jurisdictions outside Ghana for licensing examination with the Ghana Medical and Dental Council. His passion for research into newer and innovative surgical practices has resulted in the publication of widely acknowledged articles, and has afforded him the opportunity to attend and make presentations at major international conferences and workshops. Finally, Stephen is results-oriented, adept at optimizing performance through innovative strategies and possesses excellent skills in problem solving, multi-tasking and institutional communication strategies. He is currently the Vice Dean and Head Department of Surgery of University for Development Studies, School of Medicine Health Sciences, Ghana. He is a Consultant Surgeon and Endoscopist at Tamale Teaching Hospital, Northern Region, Ghana.